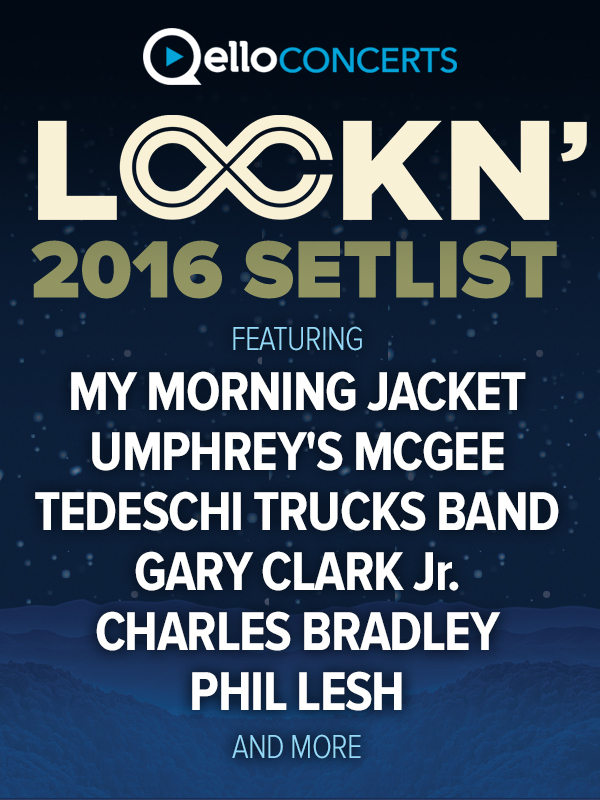 Watch LOCKN' 2016 Artists on QELLO! Can’t wait until LOCKN’ for sick jams? Qello Concerts is making some of its subscription-based video content available for FREE to celebrate its fourth year as presenting sponsor of the Participation Row non-profit village at Lockn’. A free Qello “setlist” is now available at qello.com/vip/lockn2016-setlist, and can be viewed now on any Internet-enabled device. It features live performances from your favorite LOCKN’ 2016 artists. At LOCKN’, you’ll be able to visit the Qello Concerts Lounge where you can relax and watch Qello content after visiting any of the charities that have booths on Participation Row. You can also enter a free drawing win a D’Angelico LEGENDARY LOCKN’ guitar signed by the LOCKN’ 2016 headliners, or bid on items in a silent auction benefiting the amazing organizations on Participation Row.